Also known as spherical or 360º videos, they’re the latest technological leap in image recording. This new technique provides a full panoramic view of the action, allowing viewers to use their mobile phone or computer screen to live the full experience as if they were actually there, recreating something that’s close to virtual reality. The 360º phenomenon has gone viral, especially on social media, where on YouTube, for example, you can launch the video directly (without having to apply metadata). 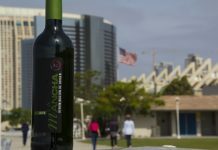 With picking already under way from early August, La Mancha Designation of Origin wanted more of its social media followers to watch the action in 360º. 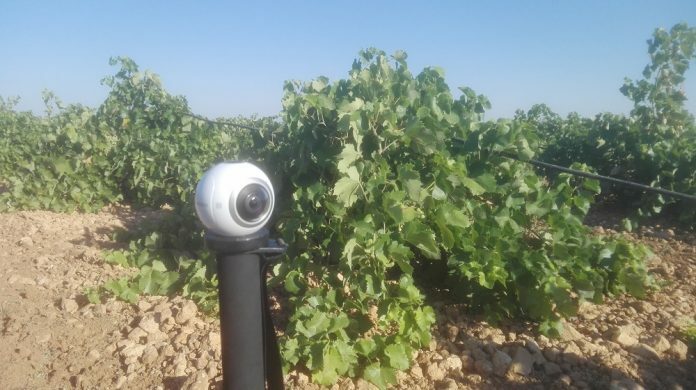 For a few minutes, viewers were able to “immerse” themselves in the harvest in the La Mancha vineyards, thanks to the 360º camera. 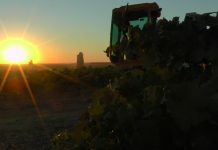 Not a single camera angle was left unexplored as viewers were able, for a few moments, to stand amongst the gang of pickers or ride on a harvesting machine in the espalier vineyards. Everything was visible to anyone who wanted to take a look, and by moving their finger over the screen they could get an all-round view of the scene. With 360º vision nothing is behind the camera or out of shot. Everything, absolutely everything, can be shown in the video. We saw the first example with the colours of the ripening grapes in late July. 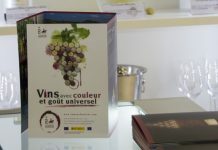 But the best result was definitely the 360º video of the grape harvest. This pilot experience was filmed in the dryland and irrigated vineyards in Villarrobledo, which is, by the way, the town with the greatest number of hectares of planted vineyards in the entire La Mancha Designation of Origin.